Legendary bearded video game designer David Crane created an out-of-this-world experience in 1989. A Boy and His Blob for the Nintendo Entertainment System tells the story of one nameless boy and his alien friend, Blobert, and their journey together to battle an evil emperor on a planet called Blobolonia, who makes everyone eat nothing but marshmallows and chocolate. Hold on, it gets even stranger: The Blob can consume jelly beans along the way to transform into objects like a blow torch or a rocket ship. It’s your classic coming-of-age tale of adolescent boy-blob love, and one hell of an LSD trip. My Blob, My Blob, My Blob. Talkin’ bout, Myyy Blob. My Blob! After blobbing around with this pre-release sample, which was obtained from a Dutch video game prototype collector named Niels Thomassen, and beating the game a number of times, I could not find one motherblobbing thing different from the released game. (Sad blob face. ) 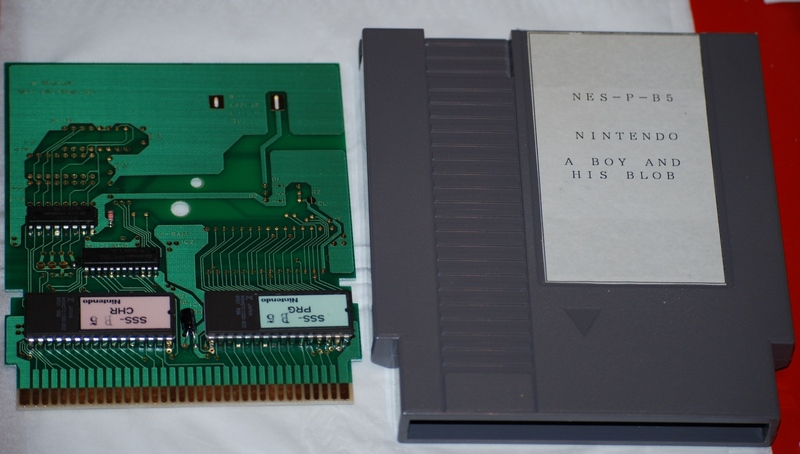 After dumping its data, I was able to confirm that the cartridge is, in fact, the same as the North American retail game. If I had to guess, this was probably a review copy sent to the European press.